Magazines are my absolute favorite. I subscribe to over a dozen and really enjoy perusing them for all sorts of ideas -- fashion to home decor. Online magazines are still new but I do love them almost as much. 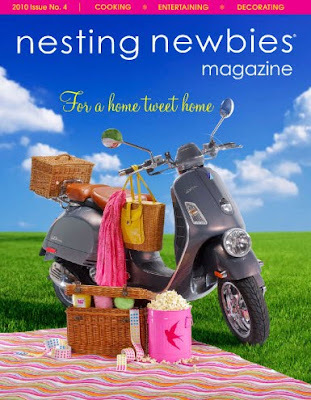 Besides Lonny, I read Nesting Newbies. They just came out with their latest edition, issue #4.